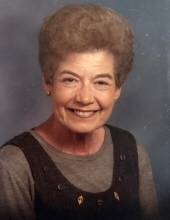 Janet (Williams) Boyd, age 84, passed away January 19, 2019 at Central Parke Alzheimer’s Special Care Center in Mason, Ohio under the professional loving care of Queen City Hospice and Central Parke staff.Visitation will be held at Adams Funeral Home, 502 Douglas Ave., Ames, Iowa on Saturday, January 26th at 11:00 a.m. followed by a memorial service at 12:00. Following the service there will be a luncheon at Dublin Bay Irish Pub and Grill. Janet Ruth (Williams) Boyd was born December 19, 1934 in Ames, Iowa. Janet and her two brothers, Joe and Jim, grew up in Ames where their dad owned the local shoe repair shop on Grand Avenue. Janet graduated from Ames High School in 1953. She attended Iowa State College where she received her degree in Home Economics Education, where she was the President of her Kappa Kappa Gamma sorority and where she met and married her college sweetheart William B. Boyd of Waterloo, Iowa on August 18, 1957. Bill’s work and travel schedule took the family to many cities (Waterloo, Iowa; Bartlesville, OK; Omaha, NE; Sioux Falls, SD and Spencer, IA) where Jan took excellent care of the family. Jan worked at the Clothes Peddler for years in Spencer, which helped pay for her love of clothing! She volunteered for F.I.S.H delivering meals to the elderly, was a Girl Scout Leader and she volunteered at church. Jan hobbies included playing bridge with friends, Friday night couples golf and ladies league bowling. She was part of the Iowa Questers in Spencer where she loved to share her interest in the history of antiques and antique shopping. Jan took great pride in her gorgeous flower beds and vast gardens in her backyard where she spent many summer hours. Janet is survived by her brother Jim Williams of Tacoma, Washington; her sister-in-law Andie Williams, of Lakeville, Connecticut; daughters and their husbands, Kathy (Tom) Lee, of Denver, Iowa; Kelly (Jim) Berling, of Mason, Ohio; and her grandchildren, Rachel and Blake Berling of Mason, Ohio. Janet is preceded in death by her parents Robert and Ruth Williams, husband William Boyd, brother Joe Williams and four legged family members Tommy Tucker, Beau, Cotah, Andy, Kaydee and Cody. In lieu of flowers, memorial may be directed to the American Cancer Society or the American Alzheimer's Association. Links can be found in the contribution section below. "Email Address" would like to share the life celebration of Janet Boyd. Click on the "link" to go to share a favorite memory or leave a condolence message for the family.